Never before has there been such a gap between traditional ideas about intimate partnerships and the realities of how people come together and split up. This course distills the collective wisdom of leading couples therapists so you have the insight and new approaches you need to help clients find the intimacy, commitment, and personal fulfillment they seek. We can agree that therapy is about making people’s pain go away. But as straightforward as it sounds, you’ve probably found yourself up against the brick wall of a client’s impervious suffering and apparent refusal to change. This reading course will show you what really helps therapy’s most challenging clients. Anxiety is the most common problem that clients bring into psychotherapy. And OCD is one of the most confounding. This reading course introduces you to the most powerful approaches for treating both. You’ll learn about the neuroscience of anxiety and OCD and why paradoxical interventions can be so effective. Deepen your understanding of how Mindfulness and Self-Compassion practices can benefit you—personally and in your clinical work as you explore what leading experts say about Mindfulness, Self-Compassion, and Psychotherapy. While many clinical innovations prove to be powerful tools, what research shows, again and again, is that the best predictor of therapeutic success is the relationship between therapist and client. Profound changes in our culture have radically shifted the fundamentals of childrearing, leaving many parents at a loss about the best ways to keep their kids not only safe but thriving. So how can therapists help these parents—and their children? In 8 engaging articles from Psychotherapy Networker magazine, some of the field’s leading trauma experts introduce you to innovative approaches that are transforming, not only trauma treatment, but also the way we practice therapy in general. Has brain science delivered on its promise to transform psychotherapy? That’s the question we take on with 6 “must-read” Psychotherapy Networker articles written by leading clinical innovators and experts—including Rick Hanson, Steve Andreas, and Ron Potter-Efron. 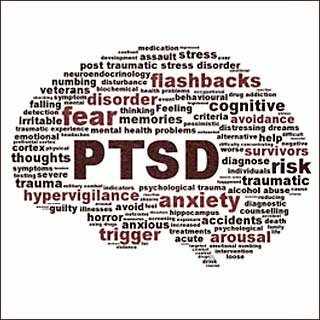 The field of trauma therapy has developed rapidly in the last 25 years, altering our understanding of post-traumatic responses with profound clinical implications for how we can best serve our clients. Most of your clients have probably had at least some difficulty with insomnia as, most likely, have you. This course offers a step-by-step guide to understanding and conquering insomnia.